Join us in crowdfunding our next album! It is not a mystery why so many composers were moved and fascinated by the warm and sonorous sound of the cello. Since the introduction of the thumb position in the 17th century, the new solistic and technical possibilities of the cello exploited by Boccherini, Duport, Romberg, Casals, Shafran and Rostropovich among others were an inspiration to many composers from Beethoven to Rachmaninov and beyond. 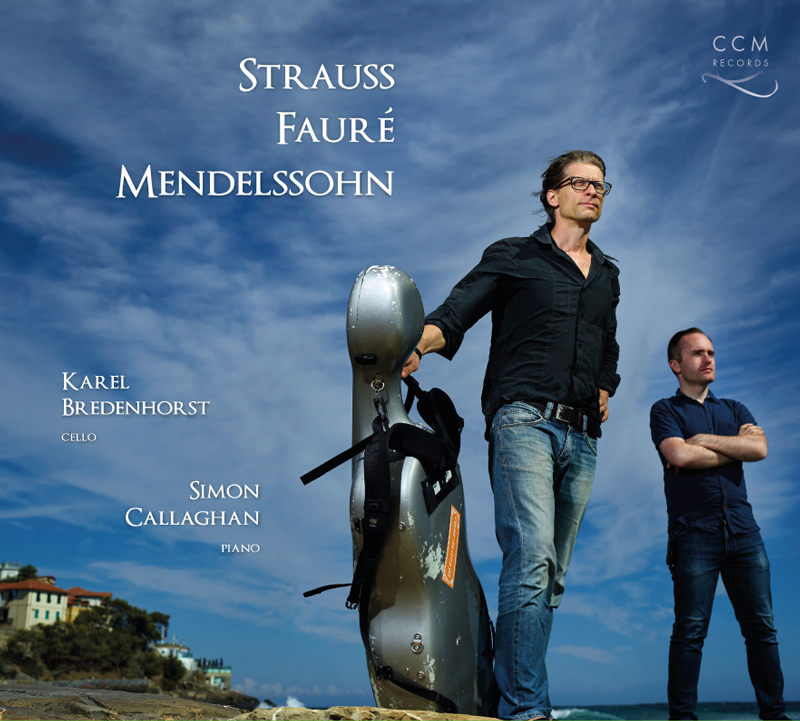 Now, 300 years later, the cello and piano duo has a rich repertoire of classical, romantic and modern sonatas, demanding and virtuosic for both instruments, provided by all the great composers in classical history. As Duo Verzaro, the british pianist and Steinway Artist Simon Callaghan (London) and dutch cellist Karel Bredenhorst (Cello8ctet Amsterdam) explore this repertoire, and perform at the highest level of musicianship and technical excellence. With a broad repertoire from Bach to the Romantics, their repertoire for the 2017/18 will include works by Strauss, Fauré, Mendelssohn, Schumann, Chopin, and Brahms. In september 2016 they recorded their debut CD in Cervo, Italy, and their second album is set for release in december 2017. L. Beethoven 7 Variations on "Bei Männern, welche Liebe fühlen"
Combinations and suggestions are happily considered.